Once we had trained our model, we investigated the features it learned about light curves to see if they matched with our expectations. One technique we used (originally suggested in this paper) was to systematically occlude small regions of the input light curves to see whether the model’s output changed. Regions that are particularly important to the model’s decision will change the output prediction if they are occluded, but occluding unimportant regions will not have a significant effect. 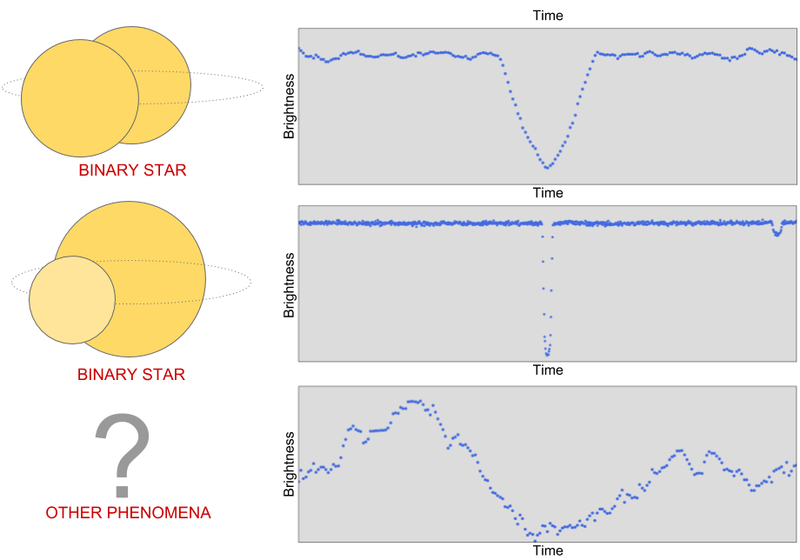 Below is a light curve from a binary star that our model correctly predicts is not a planet. 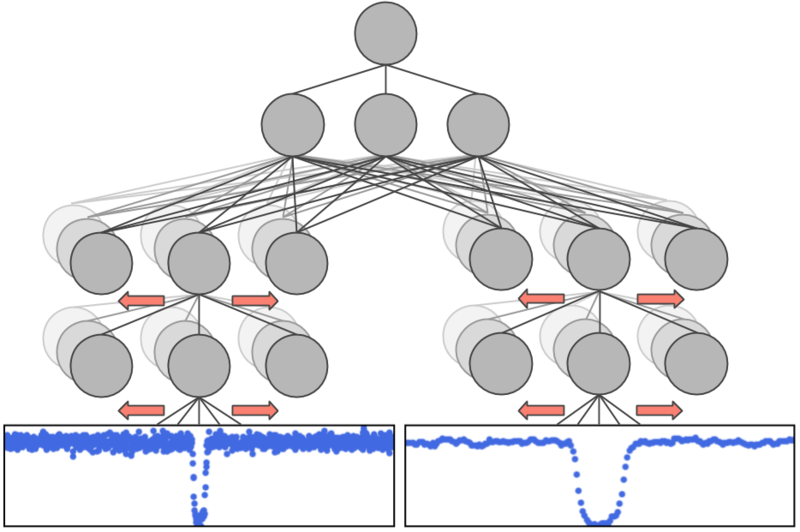 The points highlighted in green are the points that most change the model’s output prediction when occluded, and they correspond exactly to the secondary “dip” indicative of a binary system. When those points are occluded, the model’s output prediction changes from ~0% probability of being a planet to ~40% probability of being a planet. 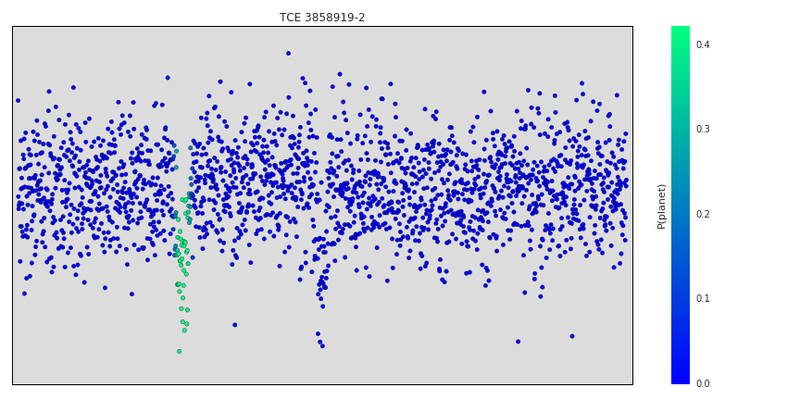 So, those points are part of the reason the model rejects this light curve, but the model uses other evidence as well – for example, zooming in on the centred primary dip shows that it’s actually “V-shaped”, which is also indicative of a binary system. If you’d like to learn more, Chris is featured on the latest episode of This Week In Machine Learning discussing his work.